The invention of money allowed people to replace their original system of trade, which was barter. Instead of swapping one good or service for another, the creation of money allowed people to buy what they wanted on credit. Money is essentially an exchange of an (IOU) I-owe-you token. A person holding IOUs has credit, and can then exchange them for goods or services within the community that accepts them. Money is thus a contractual obligation on an incomplete exchange. It can take the form of anything, from commodities to printed notes or even digitally encrypted tokens, provided that people recognise it and accept it. Historically, societies have used almost anything as money. Scarce commodities were particularly popular in the past. Cowry shells, tobacco, salt, even giant carved stone wheels (on the island of Yap) have been used as a means of exchange and savings. Gold, silver and copper have been used extensively for thousands of years. The US dollar even had ties to the value of gold up until the 1970s. The problem with using commodities as money is that their value is not always stable. The value of tobacco would sky-rocket in a drought, and the price of gold would plummet if a Spanish ship returned from plundering the Aztecs of their precious metals. Governments found a solution to create a more stable money by issuing their own IOU notes, and managing the supply to keep its value from fluctuating wildly. Fiat money is currency that a government has declared to be legal tender. It has no intrinsic value and is not backed by any physical commodities, but people accept it as an IOU because the supply is constrained, it is difficult to counterfeit, it is durable and tradable, divisible, stable, and easily recognisable. Fiat currencies are created by government decree, but the government has to maintain the above-mentioned characteristics of a good currency or its people will no longer accept it as an IOU. Some countries do not manage their fiat currencies well, and there are numerous historical examples of currency collapses. Recently, Zimbabwe failed to constrain the supply of Zimbabwean dollars, pushing inflation to over a million percent in 2008, and rendering the Zimbabwean dollar worthless. Currently, Venezuela’s inflation rate is nearing 20,000% and people are abandoning the bolívar and resorting back to bartering, using US dollars or other currencies. The US dollar has an established history and has been relatively stable over the past decade, with inflation close to 2 percent. The value of money is therefore (no more or no less than) the value people attribute to what they want to exchange for it. When governments debase or inflate the money supply, they are taxing people who hold it for its value. So it is tempting for greedy governments to increase the money supply and allow high inflation rates to persist. The South African government aims to keep annual inflation between 3% and 6%, much higher than the US and EU targets of 2%. Ten years ago, the Rand was exchanged for about R7.50 to the US dollar. The exchange rate is now close to R12.50. High inflation makes it difficult for poor South Africans to save because poor people have limited access to interest-bearing or investment accounts, so their cash savings lose value. The South African government also imposes strict foreign exchange controls on its citizens trying to buy other currencies. Legally imposed exchange control regulations limit the extent to which South African residents and companies can move money abroad. This makes the Rand less tradable, lowers liquidity and makes it less likely to be accepted in a transaction. The South African government should abandon costly foreign exchange controls and slowly lower its inflation target, increasing the tradability, acceptance, and stability of the Rand. It will then become less taxing for South Africans to save and easier for them to be integrated into the world of globalised trade and business. A robust Rand would allow for a liquid foreign exchange market because this is part of what makes a good currency. The Rand might not be able to compete with global reserve currencies (US dollar, euro, yuan, yen and pound) that have an established history of stability and good management, but we can start to make improvements immediately. 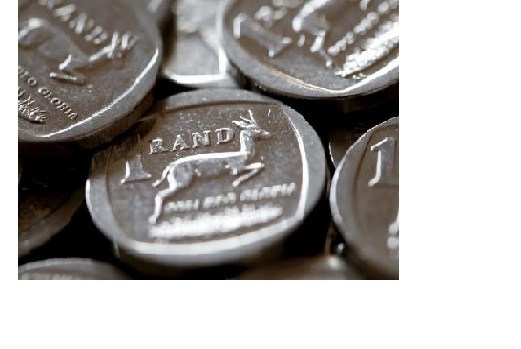 If the Rand maintains the characteristics of a good currency, it will provide a generally accepted medium of exchange, a more reliable unit for measuring the cost of goods and services, an asset where value can be stored over the long term, and a catalyst for economic stability and real growth.